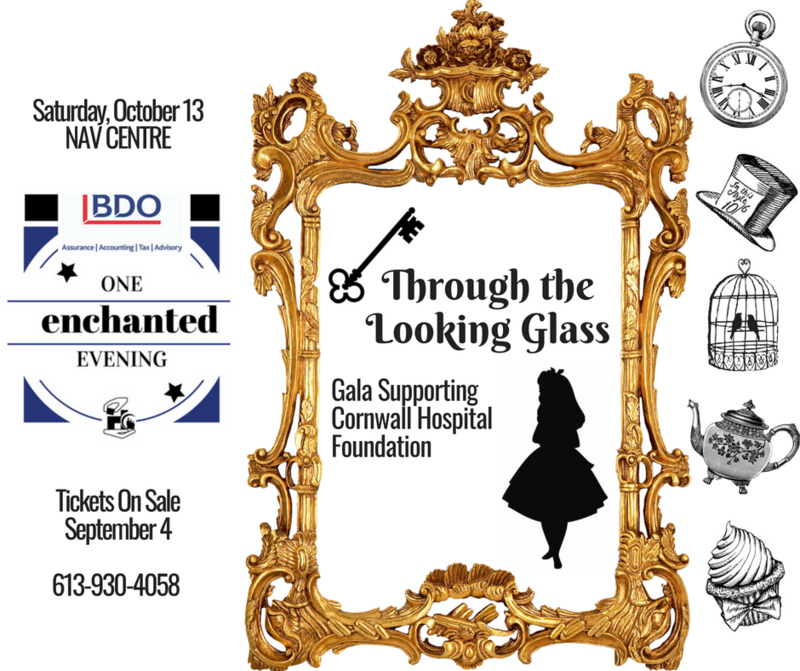 Presented by BDO, please join us for One Enchanted Evening, the 2nd Annual fall gala benefitting Cornwall Community Hospital Foundation on October 13th at NAV Centre. This year’s theme is Through the Looking Glass and guests are invited to top their gala wear with hats and fascinators in tribute to Alice’s dear Hatter. Expect the unexpected – with proceeds supporting urgent needs across all corners of our Hospital. Tickets are on sale for $95 each starting September 4th. Visit www.cornwallhospitalfoundation.ca or call (613) 930-4508. Food stations crafted by NAV’s Executive Chef Luc McCabe , 2 signature drinks, live music and dj, silent auction & more included in ticket price.